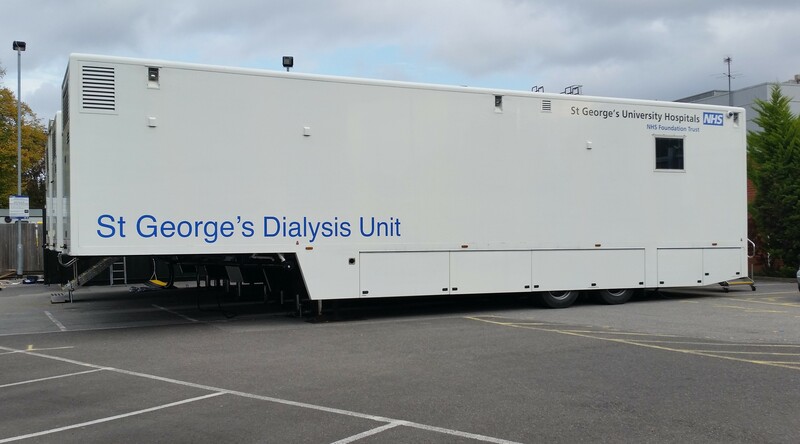 Here is a brief pictorial introduction to the trailer system employed at St George's Hospital Renal Unit. 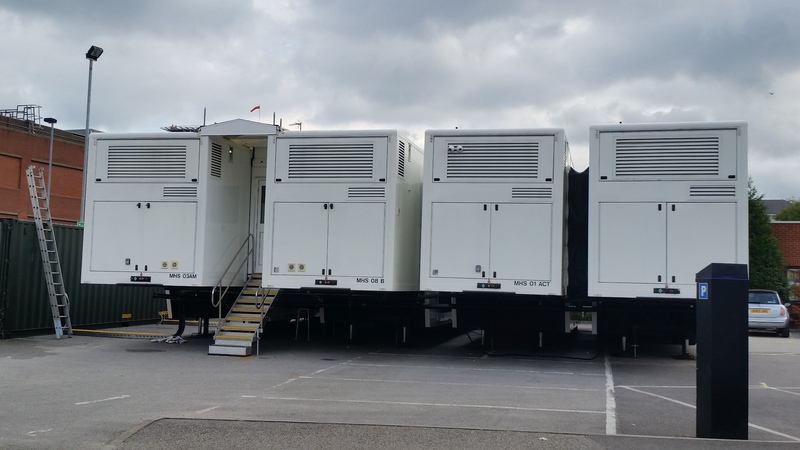 The rear of the 4 trailers. 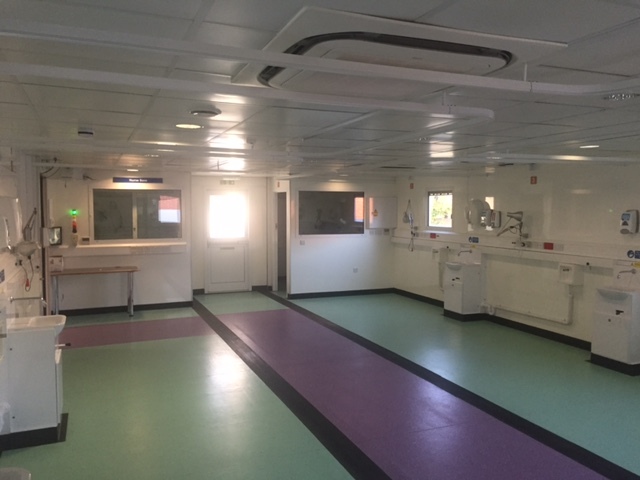 The left two contain the dialysis area. 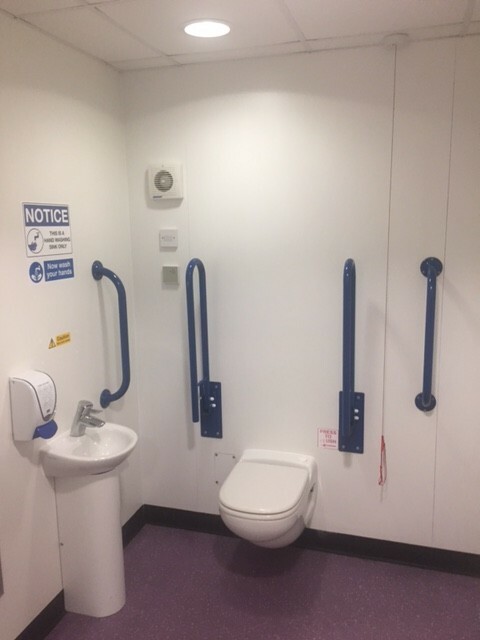 The right two contain the toilet, reception and waiting areas as well as storage, and utility areas. The stairs are one of the emergency exits from the dialysis area. 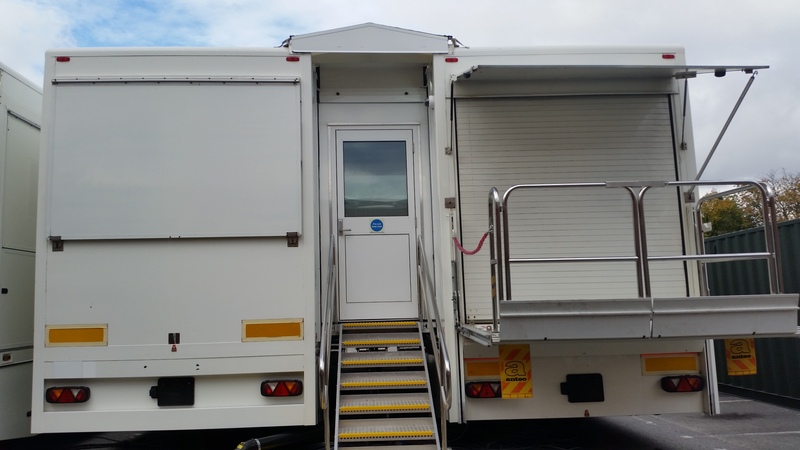 The Entrance (stairs & lift) on the front of the unit - Adaptions for better access are under consideration along with improvements on ramps and walkways. 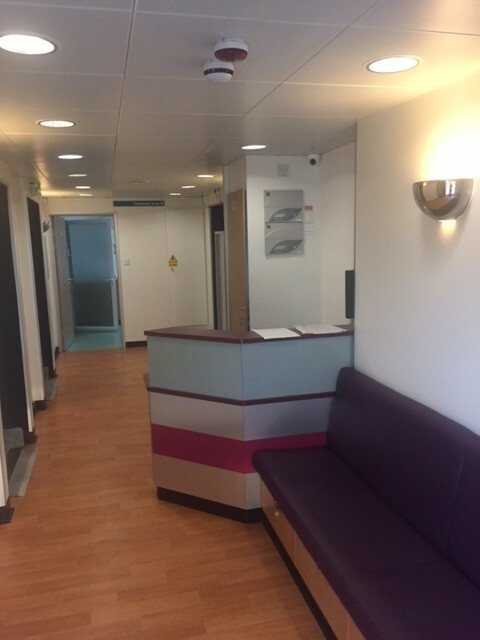 The main Dialysis Area. It includes a separate room at he far end on the right. 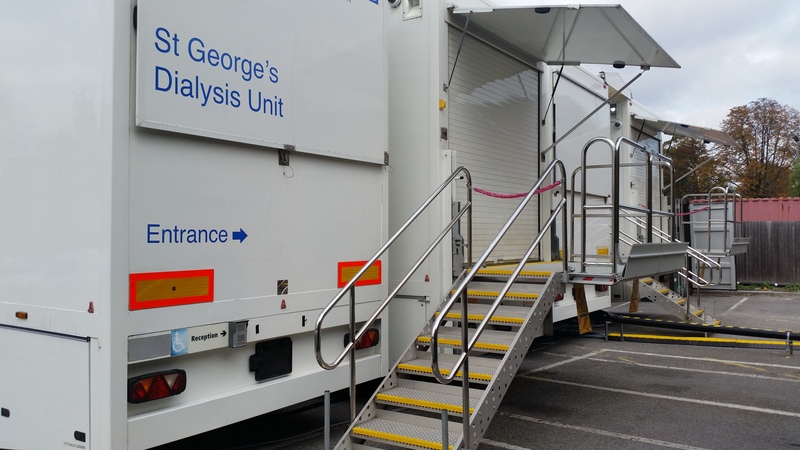 3 Dialysis stations either side of the trailer and a nurses office at the end on the right. Stores and utility areas are in other parts of the trailer. 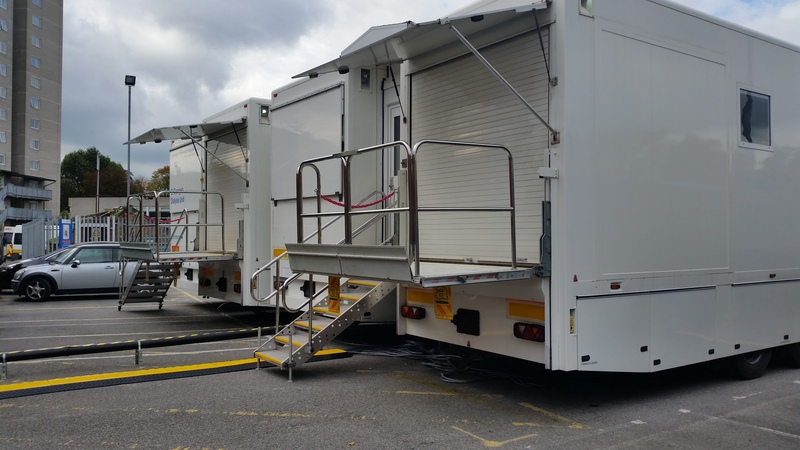 An additional 3 trailer system is planned for next to this existing trailer adding another 6-7 dialysis stations. For more pictures an details see the manufacturers website.